We're working on lots of operations stuff at the moment, so you'll be able to come along and help us run the railroad, or just come and chat about freemo and modular stuff. Hi Martyn, it's 99% certain that I can join in, although I'm not sure if I can be there all day (I hope so). In any case, I'm looking forward to join in the fun, being part of a crew or whatever is thrown (not literary hopefully) at me. Martyn - you were going to let me know what cars you want me to bring along (reefers, cement, acid) and how many, or are you sorted? BrianMoore wrote: Martyn - you were going to let me know what cars you want me to bring along (reefers, cement, acid) and how many, or are you sorted? Hi Brian - will do. From memory there was a pair of DRGW cement hoppers, the acid tank car and a couple of reefers...will sort you a list. 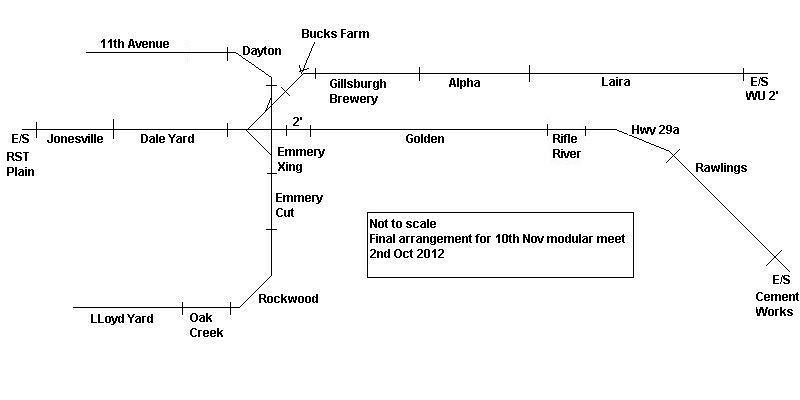 Hi John, yep unfortunate this one, it clashes with something at Bearwood also I think - yes we're planning to do this kind of thing regularly (a couple of times a year maybe) but no set dates as yet. I'll also bring along the Budd RDC. I've just been looking at Mike R's extended YouTube vid. 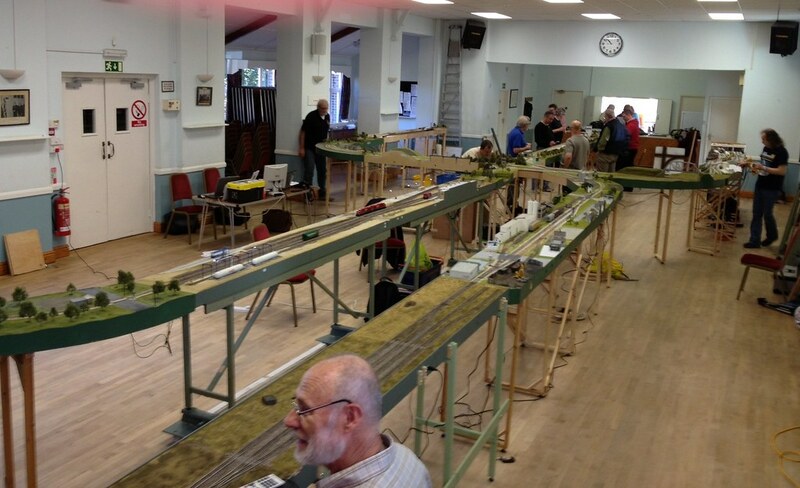 of the Exeter Modular meet in March, and it's a taster for next Saturday's event at Broadclyst. It was a fun day today at the meet, here's a taster picture of our gathering, showing you the overview. Many others took pictures in between the operating sessions (or during during a crew change or pause) . We had a few electrical problems at the start, but all and all very enjoyable. Thanks go to the organisers for a fun meet. Thanks to all who came, had fun and took part - we had a great day! I think there were a lot of pics taken so i'll try and get some online in the next couple of days.